So you want to visit Patagonia, but have a limited amount of time to work with? No problem, because there’s still a way to see the highlights even in limited time. I traveled through Patagonia from February through March and took it slowly, trying to explore as much of the region as possible while working simultaneously. Some people I met had even longer in Patagonia than I did, but most were on shorter trips and had to pick and choose what they saw. That got me thinking about what I would have prioritized had I been working with less time, and with that in mind, I put together three different Patagonia itineraries for those with one week, two weeks, or one month to travel with. This information is for those who want to self-guide their own tour of Patagonia, since I’m all about independent travel and take tours only when they offer a glimpse into something I can’t access or understand as well on my own. As Patagonia is all about the outdoors, these itineraries prioritize hiking and camping, two must-dos in Patagonia. Before you go, be sure to read my camping and packing guides before you go as well, because certain weather-resistant equipment is essential when in Patagonia, even during their summer! One week isn’t a ton of time in Patagonia, but if you maximize it right, you can hit many of the highlights. This itinerary is packed to the brim and will have you constantly on the move. If you want to take it a bit easier, I have some alternative suggestions at the bottom of the itinerary to help you pick and choose how much you want to see and move around. If you can swing it, though, don’t miss Torres del Paine National Park! Fly into El Calafate from Buenos Aires (or do this itinerary in the reverse and fly into Punta Arenas if you’re already in Chile). (Click for places to stay in El Chalten). Hike to the Cerro Torre – an 18km, easy hike to one of the most dazzling rock formations in the park. Dinner at B&B burgers or order Cordero Patagonico (local lamb on a spit), dessert at Domo Blanco ice cream. Wake up before sunrise and hike to the Condor Lookout, 20-minute hike. Hike from town to the Fitz Roy, dinner in town. (Click here for places to stay in El Calafate). Check in and visit the Perito Moreno Glacier. If in a duo or group, it’s cheaper and more convenient to order a taxi for a flat fee. Ask your guesthouse to call for you. Otherwise, busses depart from the bus terminal in town from 8am to 4pm. Early AM bus to Puerto Natales (the journey takes about 5 hours). Book bus to Torres del Paine National Park at the bus terminal following AM (book ahead if high season). Early AM bus to Torres del Paine National Park. The journey should take less than 2 hours. Alight at Hotel Las Torres² and hike up to the Torres. Hike back down to take the bus back to Puerto Natales in the afternoon (note: this is a challenging hike to do in one day, consider taking a horse partway if needed). Full Paine tour departing and returning to Puerto Natales. Bus next AM back to El Calafate and fly out from there, keeping in mind that the border crossing will take time. Stay in El Calafate and take a day tour to Torres del Paine to see the highlights without traveling onward to Puerto Natales. Spend more time in El Chalten to make it less rushed. Stay at the Hotel Las Torres, which includes tours (like the Full Paine and horse transport partway up to the Torres in Torres del Paine) and transport to and from El Calafate when you choose the all-inclusive package. What you see at the base of the Fitz Roy. Wowzers! Rent in the town or carry your own camping gear up to the base of the Fitz Roy and explore the surroundings. Spend the night camping. Hike to the base of the Fitz Roy, come back down and pack up your tent, and then hike to the Cerro Torre. Either camp at the base of the Cerro Torre or walk back into town (it’ll be a long day!) for the night. If back in town, wake up before the sun rises and check out the Condor Lookout for the sunrise on the mountains, the famed rocks from the Patagonia brand label. (Click here for places to stay in El Calafate). Buy onward ticket to Puerto Natales. Visit the Perito Moreno Glacier. If in a duo or group, it’s cheaper and more convenient to order a taxi for a flat fee. Ask your guesthouse to call for you. Otherwise, busses depart from the bus terminal in town from 8am to 4pm. Early AM bus to Puerto Natales (the journey takes about 5 hours). 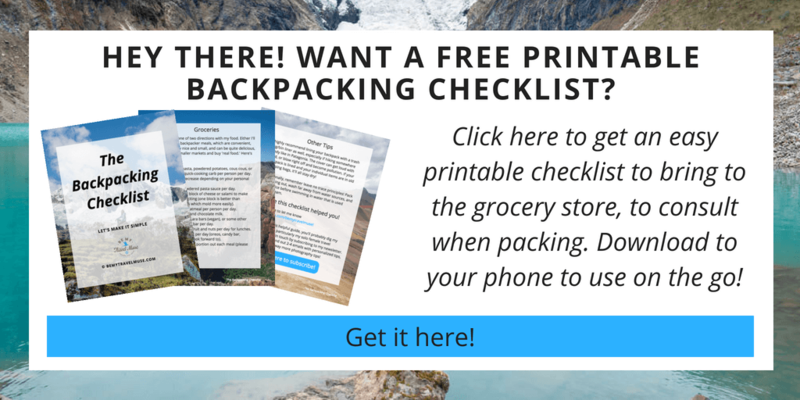 Use the time in the afternoon to rent camping gear if needed, stock up on food, and get ready to hike the W trek, a 5-day trek in Torres del Paine National Park (Everything you need to know to prepare is listed here). Purchase bus tickets from the bus terminal (or online) for the first bus out the following morning. Take the bus from Puerto Natales to Torres del Paine National Park in the morning (bus departs from 7AM to 11:30AM, and journey should take less than 2 hours). Trek the W in Torres del Paine, including Glacier Grey, the French Valley, and the Torres. When finished on day 5, take the bus back into Puerto Natales. Take a bus to Punta Arenas and visit the Penguins in the afternoon or early the next morning. Fly out of Punta Arenas to Santiago. If you want to do the full circuit in Torres del Paine, which is an excellent trek and a great choice, skip the penguins and shave off a day or two in one of the other spots. It will take about 8 days to hike. You have a whole month in Patagonia? Applause! This is enough time to do some of the treks that others don’t often do who are on tighter schedules and want to see the highlights. The lesser-known places in Patagonia are some of the most magical, so with that in mind, this itinerary prioritizes the lesser-known areas along with the more popular ones. Note: This can be just as easily done in the reverse. More Active: Fly into Bariloche, Argentina, and pick an overnight hike. Two enjoyable ones I tried were the Cerro Tronador and Refugio Frey. (Click here for great places to stay in Bariloche). Less Active: Take the bus from town and do a shorter hike to the Cerro Campanario and drive the Route of the 7 Lakes. Check out my Bariloche guide for the specifics on all of the hikes, how to navigate the area, and where to stay and what to eat. This is where the path can change significantly from the usual highlights which are in both of the one and two-week itineraries, or go for something different. Take a look at the above to see what the usual popular suspects (and rightfully so!) and decide if they deserve a lot of time, because the alternative is a lot of parks mostly locals visit and know about, and it’s pretty darn cool. Travel down the Carretera Austral, South America’s most remote road, via private rental car (fastest), hitchhiking, or busses (which are infrequent and ever-changing, so leave a time cushion when using this method). It’s also possible to bicycle, but this would most likely take up the entire month. Walk from Chile into Argentina. Do day hikes around El Chalten to the Fitz Roy and Cerro Torre, or if you want a challenge and to devote more time to this, check out the Huemul Circuit. While it’s one of the toughest hikes in the area, it’s also one of the least-trekked and most impressive with sweeping views of the Southern Patagonian Ice Field. Depending on how much time you have left, make your way through El Calafate to Puerto Natales and gear up for Torres del Paine. Choose to do the full O circuit or the W, depending on time. Regardless of the amount of time you have or how much of a hiker you are, the good news is Patagonia is so full of incredible things to see, you can’t really make a bad choice in regards to what to see. You can, however, make a bad choice regarding prep, so make sure you bring the right gear and clothing along with you! Patagonia is a beautiful and rugged place. Enjoy every moment of it! woah!!!!! I wish I could stay in Patagonia for 1 month. amazing views!!! Just booked my almost 3 week trip to Patagonia and a friend tipped me off to your blog – excellent info! One question though – everything else I’ve read regards Puerto Natales as the base camp of Torres del Paine, with Punta Arenas for penguin sightings. Yours seems to indicate the opposite. Why do you prefer Punta Arenas over Puerto Natales for the base camp? It seems like the bus to PA from El Calafate would be much father than to PN. Wow you are totally and completely right! I never could get those two straight in my mind. I was confusing the two constantly (and still do, clearly). It’s kind of like when I look at a 24-hour clock and without fail I will read “15:35” as 5:35pm rather than 3:35pm. Ugh! Thanks so much for saying something and I’ve fixed it in the itinerary now! My wife and I are trying to plan a trip using your 1 week schedule as a guideline because we will be doing something like 7-10 days. For the one week trip, would there be camping or does this plan on staying in hostels or hotels? We want to do some camping but I was not sure if it was part of the plan or if the plan is more stay in a city and do hikes from the base. P.S. My wife loves your site. Thought I should add that I like your site too. You can camp if you want to! These aren’t cities, per se. They are tiny towns and all have campsites. You can also do overnights out on the trails – there are campsites all over the ones in El Chalten, for example. Thank you for the response. I took a little bit of the 1 week and 2 week itinerary notes and came up with a plan in el chalten for some camping on trails and some staying in town. It’s good to know that camping close to town is also an option. I really liked the pictures of the glacier hike you did in chile but don’t think we can make it there in our timeline. Did you hear much about the glacier tours for the glacier by El Calafate? I also went to Perito Moreno in El Calafate and you don’t need to take a tour unless you want to. You can bus in, then hire a taxi for a fixed rate who will take you and wait for you then bring you back to town when you’re done. It’s a better option as long as there are 2 or more of you. It was super impressive! Thanks for the great post! I am a female solo traveler and will be heading to Argentina in January. I was originally planning on 19-20 days in the Patagonia, but am considering shifting some things around to only spend 16 there. A friend of mine recommended spending a weekend in Punta Del Este to get some beach time in (should be fun over NYE). I will be in Buenos Aires studying Spanish for the month prior to going to the Patagonia, so I have some flexibility on when I go to the Falls. I will have everything I need to hike before flying south so I won’t need to spend a day preparing before hand. However, if you think this schedule will be too rushed, I could go to Iguazu earlier in trip and possibly skip punta del este, which would give me several more days in the Patagonia. What do you think? Also, I plan to camp the whole time in the Patagonia except for two days at the end of the O circuit, in which I’ll stay in a hotel. Do I need to reserve a spot at a free campsite if I am carrying all of my gear? Give the O a solid 8 days, and that’s if you’re fit. Otherwise that looks pretty good to me! Yes if this is in January definitely book ahead of time as it will fill up. 2. Go down south to Ushuaia, maybe stop in Punta Arenas on the way. After we do (1) or (2) above, we need to get back to El Calafate, where we fly out of in order to head home. We are more into hiking vs. tourist attractions; being on our own vs. being with the crowd. It’s a bit hard to tell how doable it is to get from Puerto Natales to either of those destinations. Which do you think we should do – (1) or (2)? Are both feasible in terms of travel? If so, how would you recommend we get from Puerto Natales to (1)/(2)? I would give El Chalten more time instead of trying to book it to one of the other spots. Puerto Rio Tranquilo can take a while, but you can fly into and out of Bariloche. Why do you need to go back to El Calafate from there? I assume you’re flying in and out of Buenos Aires? This is INSANELY helpful. I’m thinking that I’m going to be moving towards the month route now, that looks so spectacular. Great read! I’d pick one spot with only a few days or you’ll be rushed and stressed. Thanks for this, Kristin! I have fourteen days with two travel days and am struggling to choose between northern and southern Patagonia. Which do you think? Or is there a way to see some of both in that time? You could do Bariloche for a bit then fly down to El Calafate. I think down south is more impressive. so helpful thank you! How much money would you suggest budgeting for the one-week itinerary (buses, meals, lodging, any entrance fees)? Thank you for posting such helpful information! We’ll be spending 7 nights (6 full days) between El Calafate and El Chalten. We’re planning to just do a day tour of Torres del Paine from El Calafate as we won’t have enough time to do a long hike. But, would you recommend we spend a night at Hotel Las Torres to give us another day in the park? We are also debating if we should spend more time in El Calafate vs. El Chalten. Do you prefer one over the other? Definitely prefer El Chalten over El Calafate, by far! I think another day in the park is a good idea too if you can do it. It’s so beautiful. Really awesome post! 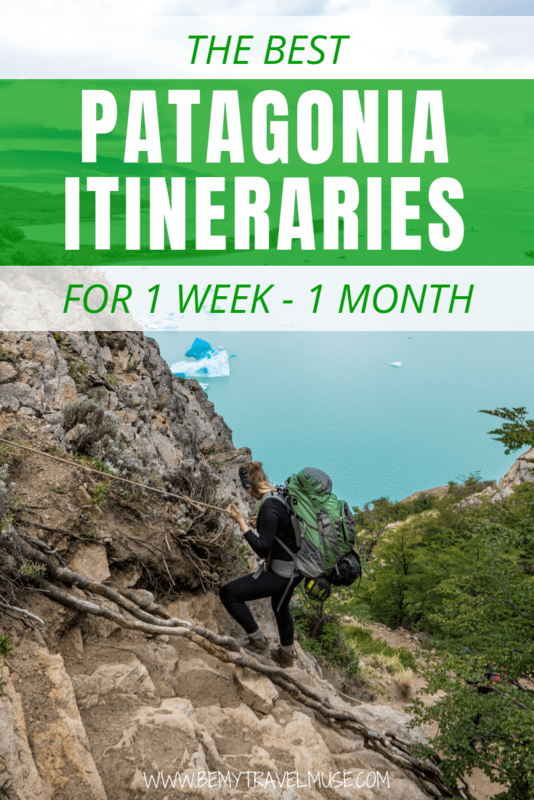 I’m heading down to Patagonia at the beginning of March for a month and love your itineraries! One question: I’m taking all of my camping gear as well as my backpacking gear to continue traveling for the next few years, so it’s too much to take it all on the month trek around Patagonia. Do you know if there are places (probably in El Calafate, my starting point) that I could leave a bag? I’m going to try and contact some different businesses/hotels to see if anyone will let me, but would like to not have to pay too much to leave it. It’s just a small duffel with some clothes and gear that I won’t be needing in Patagonia. Also, my plan is to sell all of my camping gear in El Calafate when I finish my month in Patagonia. Did you see any backpackers doing that down there? Think I’ll have any success? It’s all really good gear, but I can’t take it with me! You’re awesome, keep up the good work! You might have more success in Chile when you’re getting ready to do the Torres del Paine circuit. The backpacker accommodation are used to keeping bags there and didn’t charge me to do so. Great! I got lucky and found a hostel in El Calafate that I’m working with that’s going to let me keep my stuff there while I trek around. Is there any other reason to stay in El Calafate other than the glacier? I’m flying in there and have 2 nights at a hostel and I was curious if you did any hiking/camping around that area or if I should just head straight to El Chalten for the circuit. I didn’t do anything but the glacier and didn’t love the town either. It’s really touristy! There could be hikes I wasn’t aware of, though. If you find some please let me know! I may have missed it in the comments or actual post but, Do you have a general budget for the iteneraries? I’ve a very short period of time on this trip. From 29th oct to 1st nov. I’m thinking to fly to Punta Arenas. Will do full day (easy hike) tour Torres Del Paine. Do you think we re really need to get a tour for my second day? Both tour exclude the park entrance fee. Do you think I need to pay twice for both day or one time? Will take a bus from Puerto Natales to El Calafate. May I know if I’m going to the Perito Moreno by myself, NO tour, how much is the boat ride? I heard it’s a must and impressive. 1st day looks good, the second day I would do a full paine bus tour to see the beautiful and iconic stuff in the park. Most of it would require multiple days to trek to otherwise. They usually return you to town as well. I don’t know about the park entrance fee. I’d ask the tour company that you book with. I also don’t know how much the boat tour is, I didn’t do one. We are a couple 61 and 58 who travel with our 20 year old son. We are big hikers but thinking would prefer not to camp and carry all the needed gear. (Backpack camping gets less appealing as we get older.) Staying in hostels/private rooms with an occasional nice hotel. Say 80% hiking and 20% culture/small town tourism. We would rent a car when it makes sense to be time efficient. No hitch hiking, bus is fine if it goes where/when we want. Thinking 3 weeks including travel time. 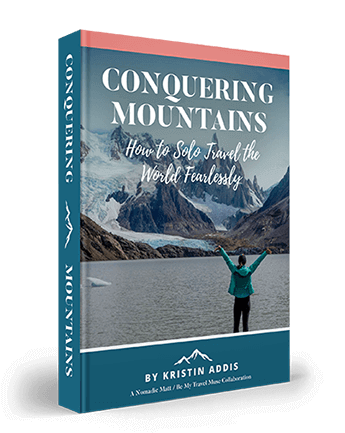 Probably looking for a little more granular trip planning advice than you give away on your blog (but not to the booking level). Suggestions on travel reading…Loved reading about your trip and watching the video’s. Hi, loved your article huge help for planning my trip! Just wondering where your opening photo is from? Hi Kristen I’m so thankful that I found your blog about the Patagonia – saves me so much research time! I’m planning to go to Chile and Argentina solo (1st time to South America, many times solo) in late Oct and Nov this year, and really wanna see the Patagonia. I hike but definitely not a seasoned hiker. The idea of hiking solo terrifies me. (I always hike with a company.) But reading your itineraries eases my mind a bit (so I still am gonna attempt it). I got a bit confused reading your 1 week itinerary. You mentioned hiking to the Cerro Torre (’cause it seems easy enough and I can finish the hike in a day) from El Chalten on Day 2 but then you hike to the Cerro Torre again from Puerto Natales on Day 7? Does the Cerro Torre stretch very long that it touches different cities? You mentioned you can do the same 1-week itinerary reverse by flying into Punta Arenas in Chile. But Puerto Natales looks far from Punta Arenas on the map. I plan to fly to Santiago from Canada and hope to go to the Cerro Torre on the Chile side. Is it possible? I’m thinking if I’m doing it all as a beginner solo hiker, I can hike the Cerro Torre and go to the the Condor Lookout and do day tour to Torres del Paine. But does it mean I have to start in the Argentina side i.e. El Chalten? I don’t know if I’m making sense but any pointer that can take me out of my confused mind would be appreciated! Thanks for asking. Torre just means ‘tower’ so it’s a name that a few rock formations down there have. However thank you for calling my attention to it because I think that only the one in Argentina has a ‘cerro’ in front of it. These names are endlessly confusing for me! Made a change in the post now to reflect that. The reason why I suggest flying into Puerto Natales is the airport in Punta Arenas is much smaller and probably super expensive if it’s even doing flights atm since they only do in high season, but check with SKY airlines to make sure. The demand is high to get to Torres del Paine lately so maybe they’re doing more flights. El Calafate is just the most logical place to fly into because it’s in the middle, between Torres del Paine and El Chalten, plus you have the perito moreno glacier there and lots of day trips to Torres del Paine too. That said, you will pay a lot more to fly from Santiago into El Chalten because flights within the country are reasonable but as soon as you cross a border they tend to triple. Can you fly into Buenos Aires from Canada instead? It’s also a super cool city! 1) Fly into Santiago, stay there for 4-5 nights. 3) Stay in El Calafate overnight take the shuttle bus to El Chalten next AM. Is this a realistic plan? In a nutshell my plan is in about 3 weeks I would visit Santiago, El Chalten, and Buenos Aires. Santiago will be my base for flying in and out of South America. I’m just unsure if I should attempt the above itinerary or do Santiago –> Buenos Aires –> El Chalten instead. Would you mind sharing your 2 cents? Looks good! If you can psych yourself out enough to do Condor and Fitz Roy on the same day then do. I have no idea about the flights that just depends on what’s available. Have fun! Let us know how it goes for you. Haha thanks for the tip about Condor and Fitz Roy! I’ll definitely keep that in mind if I’m not super tired from moving around. (I’m relatively fit but flying up and down and moving around is another story.) Will definitely keep you posted if I eventually make it there. 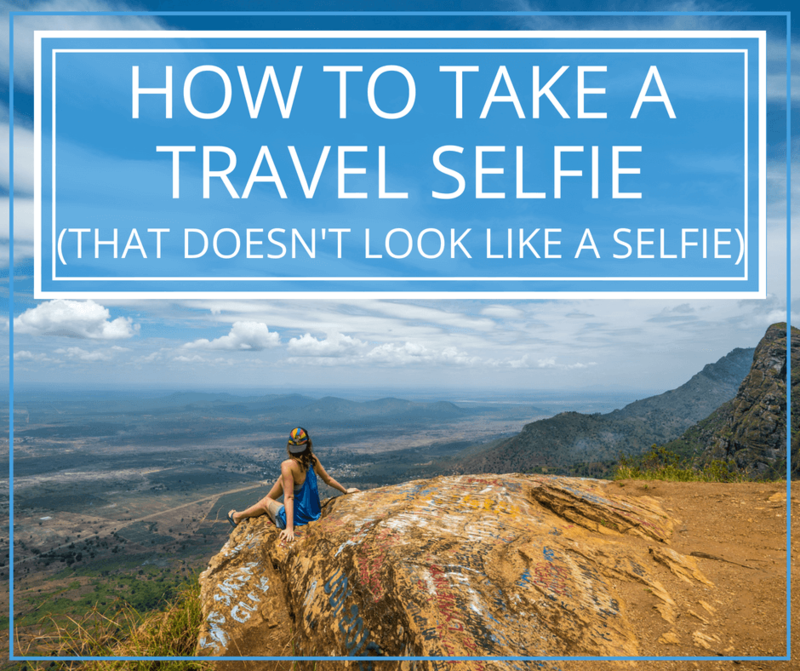 Thank you so much for all your posts – very helpful and reassuring for a fellow female traveller who loves to go solo. You’re definitely one of my fav travel bloggers. I have a random question I hope it’s the right place to ask you here: I just bought Pacsafe bag protector, after reading your travel resources on your blog. In your experience, do airlines accept the protector for check-in backpacks? Have enjoyed reading your blog. I’m an Aussie solo female traveller planning a trip to Patagonia mid Nov – mid Dec. I’ll have a month. – Were there lots of people on the route from O’Higgins, boat ride and hike to El Chalten? ie if I’m travelling solo will there be people to hike with? If I fly into Bariloche I’d be keen to take that route, but reading different posts some people say it’s v isolated, so I was just wondering what you think. – I’m keen on the Huemul Circuit: would you recommend organising it with a guide/group rather than doing it solo? The river crossing with the harness and that steep drop look fun but not sure I want to do that on my own! – Have you been down to Ushuaia? Would you recommend it? I was maybe thinking of flying into El Calafate and out of Ushuaia instead of exploring further north. Not that many from O’Higgins but it’s more of a dirt road than a treacherous hike and you might meet people at the farm or in town before you even go. I have not been to Ushuaia sadly. It’s good to see there are still places you can hitch-hike! My last hitch-hiking adventure was around Newfoundland in 2009. I had THE best time. Just booked the trip – from Esquel to Ushuaia for a month. Very excited. Your site is pretty amazing. It gives me many ideas to plan our holiday. We are planning to do some trekking in Patagonia late November – early December (I hope not too cold) this year. We will try to do something like you wrote in your one-month-itinerary. It sounds amazing as we are relatively experienced trekkers and looking for remote areas to avoid the crowd but still don’t want to miss the typical Patagonian landscapes. I’m little bit worried about the costs, though. We will be on low budget because the flight from and back to Europe takes a lot of money. We would really love to take this car trip on the Carretera Austral, but I think a car rental could make the whole trip too expensive. If we hitchhike or wait for busses it could take too long and there is a great risk that we have to skip some beautiful treks or we miss our flight back. What do you suggest? Do you know any car rental companies that allow us to pick up and drop the car in different places? In which cities would you rent and return the car? I thought about Puerto Montt and O’Higgins. Do you know the approx. daily rental cost? Are there any other costs like tunnels or ferries between these cities? After we dropped our car and we are already in Argentina: Which is the best way to travel between El Chaltén and El Calafate and how to get from there to Torres del Paine? You’re right that it will be expensive to rent a car on the Carretera Austral, especially if you drop it off in a different location than you pick up. I don’t have any idea how much since I didn’t do it or where you can drop off but these are tiny towns so options are probably pretty limited. There are buses now and then but they aren’t daily and sometimes they are full when they pass by. Unfortunately that’s just how it is, though you can bypass the Carretera Austral and take a bus through Argentina down to El Chalten instead. The bus directions are noted in the itinerary for how to get from place to place, including TdP. When I didn’t hitchhike I took buses. Have fun! 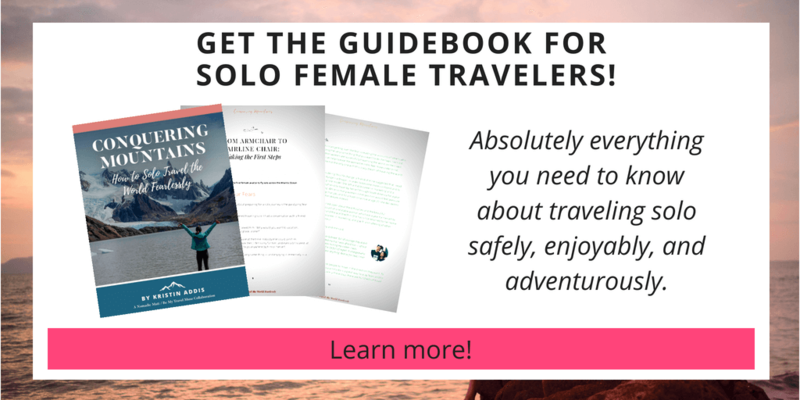 I am also a female solo traveler. Just started travelling solo couple years ago. I am planning to go for 2 week trip in Patagonia. I was wondering if it is possible to do multiple day hikes in Torres Del Paine from a hotel in that region. I am not a camp person so not planning to do O or W trek. Not planning to rent a car either. Are there buses from hotels that go to TDP park? In that case I’d suggest staying at a hotel within the park. The Hotel Las Torres is great. The hotels aren’t cheap, but otherwise, you’d kind of have to learn to be a camp person. It’s not so bad! I was planning to do Patagonia on my round the world trip- I’m a 25 year old solo traveller- however since it is going to be my first time there I don’t think I’ll be able to manage hiking or camping by myself? 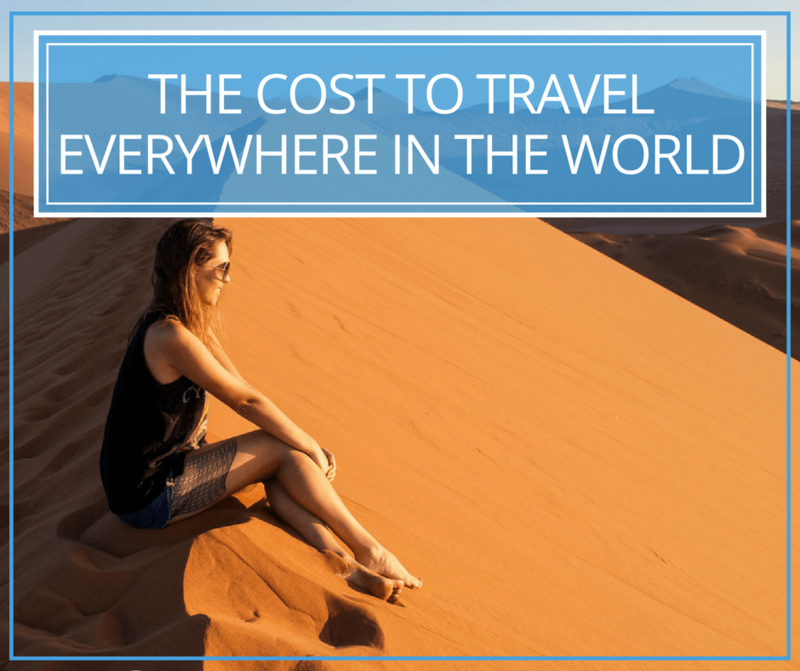 Any ideas on how to keep costs lower when travelling there? I’d like to have a guide for hikes:-\ I haven’t gone camping before and the idea of being left alone somewhere intimidates me. Tours even independent ones are crazy expensive – so if I follow the 2 week itinerary you’re mentioning above how easy i s it to find someone to hike with etc? Honestly there were so many other people on the trails that I mention in the 2-week itinerary, you won’t be alone at all. I also made friends with plenty of people in town and during the hikes, which was a pleasant part of the journey! I was there with Steve, but I met a solo female traveler who had hitchhiked all the way down the Carretera Austral (mentioned in some of my other Patagonia posts and in this one in the longer itinerary) and I kept running into her, having meals with her, and camping with her. The trails are really obvious so I don’t personally believe a guide is necessary. You can always show up and see what you think! Kristen, how did you handle airline tickets from Buenos Aires to El Calafate? After I booked, I noticed some text about fares applying only for residents. Will I need to pay extra at the airport? Thanks!!! I didn’t have any issues, personally, when I did the reverse. This is great information! We are considering a 1-2 week trip with our young adult daughters. Can you give me any sense of what kind of costs we could expect for these itineraries? Also is it possible to do it without any camping if we don’t want to haul a full pack? Thank you!! I have a long trip not at all planned in Patagonia and I’m looking for some advice. I’m flying into Puerto Arenas and then doing the O circuit at Torres del Paine. Thanks for the response! Where did you finish/start your trip, Puerto Montt? Bariloche then took a bus to Puerto Montt from there, yes! Hello – I am a solo female traveler that will be going to Patagonia. I will have my own sleeping bag and tent and carry my own food and plan to do the O circuit at Torre del Paine. What size back pack do you recommend? I really like the feel of the Osprey Aura which is 50L but not sure if it may be slightly small (maybe a 55 or 60L would be better). Really trying to keep light weight. Thanks for your help and post. Very helpful. That’ll be too small because you really want to be able to fit everything inside your pack in case there’s rain, plus there are very heavy winds and anything hanging outside of your pack just makes you easier to blow over. My 75 liter was just barely big enough. For the O you need 8 days of food and that’s what takes up the space. I just discovered your blog as my wife and I are considering a Patagonia adventure next winter…you’re a rockstar! -Do you think we can fit the W track into a 10 day “greatest hits” of Patagonia itinerary? …Or is it worth it for that length of trip? -My wife isn’t too keen about camping, but we’re in Patagonia, right?! I’m thinking the “pre-set” camping options might be our best bet with prepared dinners and showers. I’m not wanting to drop $300-$500/night for a hotel. Is that a good option? -How did you handle laundry while trekking? Any insight would be appreciated. Thank you! – I love camping so it seems like a waste to me to spend the money on the dinners and showers but I do understand not everyone is like me. Seems like a good compromise! – LOL, brace yourself: You wear the same thing every day and then change into your other pair of clothes every night so that you’re not drenched in sweat in your sleeping bag. Then each morning you have the fun task of putting the cold wet clothes back on. If you’re carrying all of your gear you kind of have to do that. No laundry. I’m totally serious. Hi! I am flying into Punta Arenas and flying out of there too. How would you adjust the one week timeline to fit that? Thanks! Skip Argentina and go to Magdalena Island to see the penguins! My name is Alina and I’m one of your IG followers. I just wanted to say that I really enjoyed your Patagonia posts. I’m going there this November and was wondering if you could give me any recommendations? We are planning to spend around a week-week and a half hiking the W trail and maybe El Chalten or go to Fitz Roy. Are there any camping grounds other than the major ones like Italiano and camp Gray? I’ve read a lot of reviews and everybody is saying that it’s hard to book those sites. The reviews were kind of old though from like 2014-2016. I contacted the Vértice website and they recommended to get back to them in April. But that’s the only response I’ve got. I haven’t heard from Conaf or Fantasticosur. I’m also wondering if you took a boat trip to the Antarctica? Thank you so much in advance! Any information would be greatly appreciated! Best regards and happy travels to you! I just wanted to say how happy I am to find your blog about Patagonia and that I really enjoyed it. I’m going there this November and was wondering if you could give me any recommendations? We are planning to spend around a week-week and a half hiking the W trail and maybe the O. Are there any camping grounds other than the major ones like Italiano and camp Gray? I’ve read a lot of reviews and everybody is saying that it’s hard to book those sites. The reviews were kind of old though from like 2014-2016. I contacted the Vértice website and they recommended to get back to them in April. But that’s the only response I’ve got. I haven’t heard from Conaf or Fantasticosur. I’m also wondering if you took a boat trip to the Antarctica? Is it worth doing if we only have 2.5 weeks in South America? Thanks in advance! Any information would be greatly appreciated! I would have loved to go to Antarctica but haven’t yet. I don’t think you can squeeze it in if you only have an extra week and a half for it, though. I do know that these days you either have to book campsites ahead or, like I did, go after the high season. I went at the end of March and it was a good call. I think Italiano is a free campsite, no? Oh I’m not sure about italiano. They haven’t posted the rates on either of the three websites. They r waiting for the end of this season and told me to get back to them at the end of April. I might be able to get three weeks off and try to stretch it into 4 in November so I can take a boat to Antarctica! I’m soooo excited about this trip. I can’t wait!!! Thanks a lot for your reply. Stay safe. Great pictures from Asia by the way ??? My husband and I are planning a trip to Patagonia come this fall 2018. We are planning to do the W in Torres Del Paine. 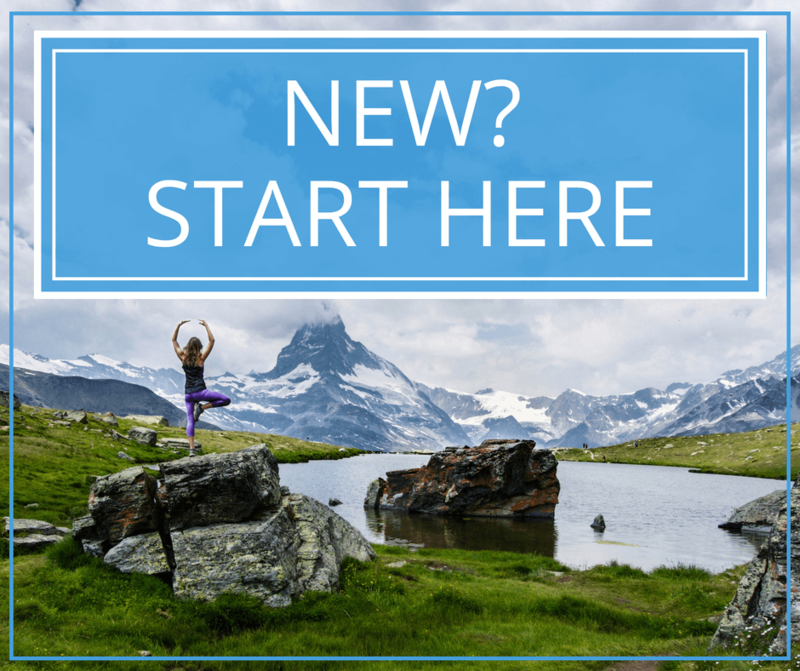 We are having a hard time finding out when we need to book our backpacking campsites or who to book with… Are you able to give us some information on this? Fantastic content!! You have a picture of you in an ice cave, looks to be glacier trekking on this article. Can you tell me what the name of that glacier or trek is, please? Thank you so much and keep dominating! As others have said, Kristin, your blog is super informative! Thank you for sharing your experience with us. I am going to Buenos Aires last minute, and booked an extra 10 days to hopefully go see Patagonia. I’m a veteran solo traveler, fluent Spanish. I would go by your one-week itinerary. But we’re talking about July 26- Aug 3. It’s winter! I know you didn’t travel Patagonia in that season, but do you think that most things can be arranged once I get there? I figure it’s low season so (1) stuff shouldn’t be full, but (2) stuff might not run at all. Booking in advance is so hard from 7K miles away…and in a rush. —> Do you think if I book a round trip flight to El Calafate, and hostel for the first night, I can sort things out once on the ground, even though my time is a bit limited? Also, I’m a good hiker but not a mountaineer. —> From what you saw, do you think with winter conditions, I would just need a local guide anyhow? For example, I’m familiar with New Hampshire: totally fine in the summer, but in the winter people do actually die from avalanches and unstable snow even though you wouldn’t think 400-foot mountains would do that. Hey Tami, even in high season I booked nothing ahead of time except for guesthouses, sometimes. Even then I often just showed up because so many aren’t online, or weren’t 3 years ago. I think you’ll be alright! Hi…I am doing research on a trip 4 women are doing into the Northern Chilean Patagonia area the last week of January.We are visiting a friend on the island of Chiloe and thought a side trip a doable. The plan is to fly into Balmaceda, pick up a rental vehicle and head off to see as much as we can. Thus far Glacier San Raphael, the marble caves (I have heard that you can kayak to them) and a hike or two in the Parque Patagonia. We have six and a half days. We do not plan to camp but hope to find relatively inexpensive accomodation and food on our travels. Two of our number will be flying out of Balmaceda to Santiago at the end of these days. Do you have advice or suggestions re:this plan? Any other recommended sites. Etc. At this point other than the dates we are flexible. A lot of what you mentioned are places I didn’t visit, however I can confirm that you can find decently priced hospidajes if you don’t want to camp — it’s what I did. 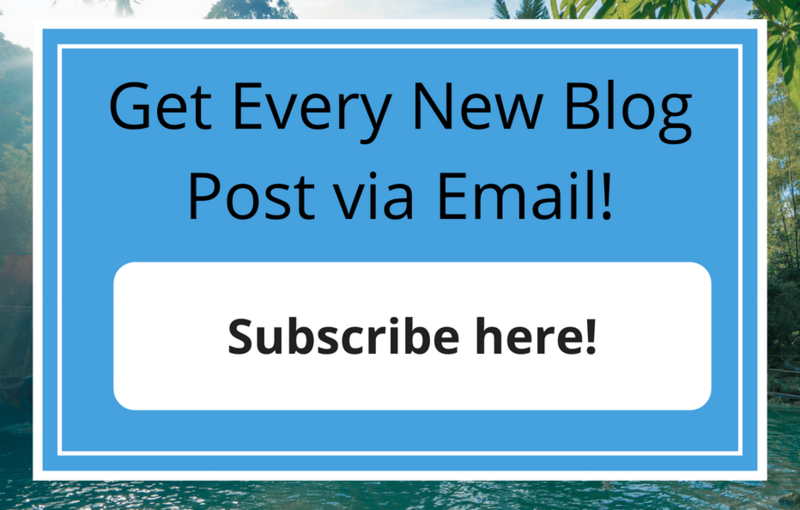 Firstly, your blog is freaking amazing!! I have loved reading all about yours trips so thank you for everything you’ve shared. My husband and I are heading of on a ten month trip next year to South America and Europe. We love meeting new people and experiencing the local culture. We’re 28 and 29 and don’t mind roughing it a bit. We plan on flying in Buenos Aires, doing five nights there, then busing to Mendoza for four nights then bariloche for three nights with the possibility of more. We have a few set dates we need to be in places but are pretty flexible. Then I thought we would bus to El Calafate and El Chalten. How long would you recommend in El Calafate and El Chalten? We enjoy hiking and I love the look of all the holes you’ve posted so we’d hope to do some of them. I’m also not sure whether we should cross the border into Chile and then back into Argentina or work down Argentina and then just go up Chile? Anddddd… another question haha. Buses… did you book them when you got there or should we pre book them? I’m planning to try and book our accommodation before leaving due to peak time but can cancel for free if needed. Anyway, so sorry for the mega long post!!! Glad you like what you’ve found! If you want to do an overnight hike in Bariloche then 3 days might not be sufficient, unless you’re not including the hike in those days. You could spend a bit less time in Buenos Aires (but that’s coming from a girl who just doesn’t like cities much). You could fly down to El Chalten and save yourself some time, but not money, obv. Since you have ten months why not give yourself some flexibility and stay places for as long as you feel like it and leave when it feels right? You might end up doing that anyways. I spent about 6 days in each El Chalten and Bariloche, crossing between Chile and Argentina frequently, however I went down the Carretera Austral. You could stick on the Argentina side then bus over to Chile from El Calafate for Torres del Paine. That’s what I’d probably do in your situation. Enjoy! Awesome. Yeah when we are in Bariloche that time doesn’t include the hike I just thought we could book a few nights, do some day hikes and figure out some over night hikes to do while we’re there. You’re right, we were planning on seeing how we go but I was sure with peak time how much to book or do you think we’ll still be able to find accommodation in Jan and not stress too much about booking it prior. And yeah due to our time we’re happy to bus as it’s cbeaper, are these easy enough to book as you go? Or should we book those early due to peak time? Thanks for the suggestion of busing over too 🙂 was the Cerretera Austal another bigger hike? Thank youuu 🙂 I’m sure I’ll have more questions as we plan more. Do you have some tips how to book your campsides when you are doing a full month Patagonia experience? Hi Nathan, you do need to book ahead for Torres del Paine but otherwise I showed up and found all of my accommodation in person.